They’re heeeeeeeee~yureeeeeeee~. Aaaaand, ten minutes later, they’re gone. Yeesh. 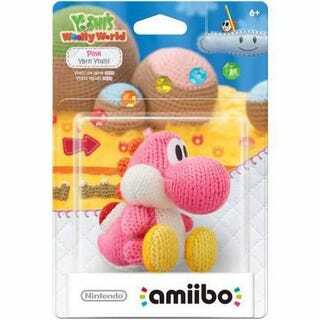 Yarn Yoshi Amiibo, that is! Your first chance to pre-order the pink and light blue ones is now available at Walmart.com. Not sure on how other retailers will handle them, nor how common they will be, but I have a feeling they won’t be super rare. However, if you want them, it would probably behoove you to pre-order just in case. [Update]: reportedly out of stock after just a few minutes. Rumor has it that they’ll be about as common as Zero Suit Samus (pink) and Ganondorf (light blue), so these ones are likely to sell out if that’s true. That said, Nintendo is getting much, much better about restocks (for example, apparently Little Mac and Captain Falcon are getting big re-releases), so don’t lose hope. If I see them go up again online, I'll post a deal blip!